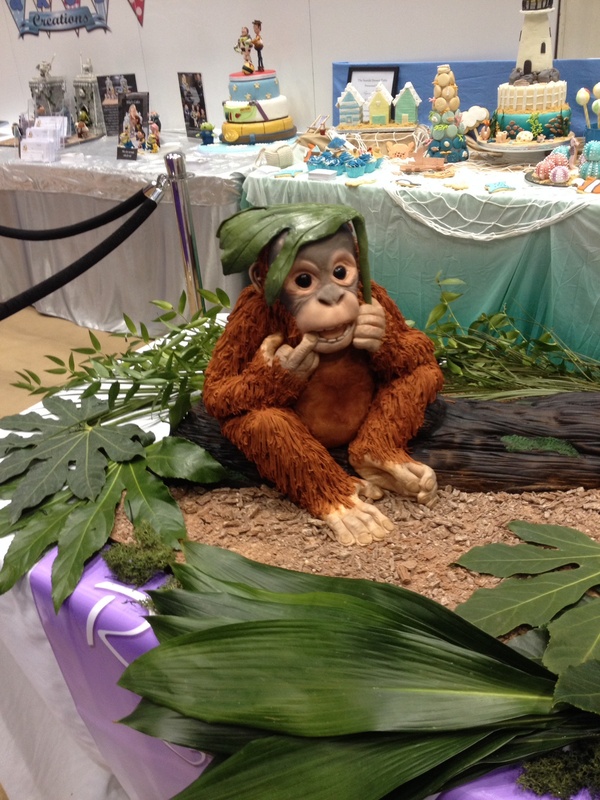 We’ve had a really good day at the Manchester Cake and Bake Show today. If you’re pondering whether to go then I’d definitely recommend it. It’s not the biggest venue but packed with stands and such a friendly event! When I was first contacted by Amy (who does PR for Neff) to see if we could attend the Neff presentation of their new, unique slide and hide ovens, we weren’t sure which day we would go but that invitation made the decision for us. 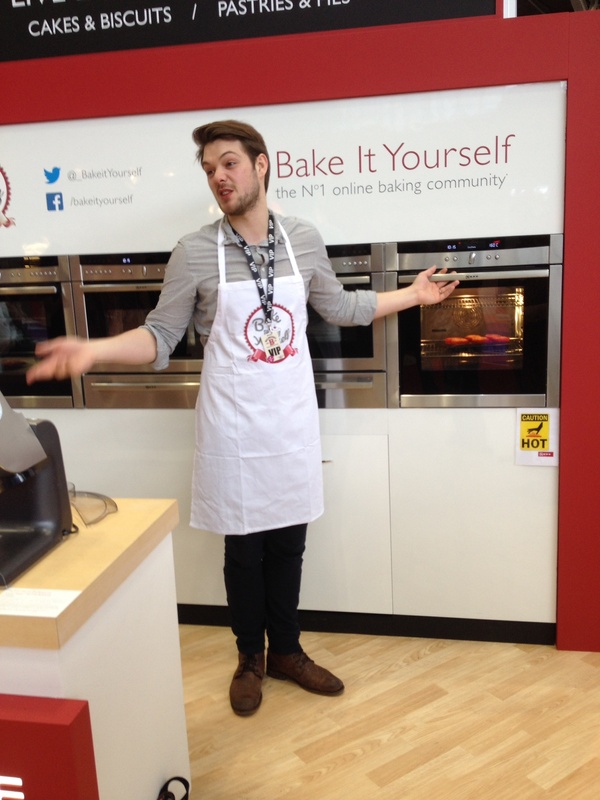 The ovens are similar to the ones used on the Great British Bake Off and were demonstrated by the lovely (and extremely busy) John Whaite. There were three main things that impressed me about the new ovens – they use a system called Circotherm which allows you to cook sweet and savoury foods with no intermingling of flavours, AquaAssist to easily introduce steam, and the exterior of the doors were barely warm. What a godsend with little ones about! Neff run “Bake It Yourself” – available on Facebook, Twitter, You Tube etc as a way of encouraging home cooking and baking and sharing enthusiasm with others. I joined it because of having all Neff Appliances – including two Neff ovens – in our holiday apartment in Devon – I was so impressed with them I will certainly be having one when we next need a new one at home. My main baking and cooking passion is providing homemade food for us and the expanding family. 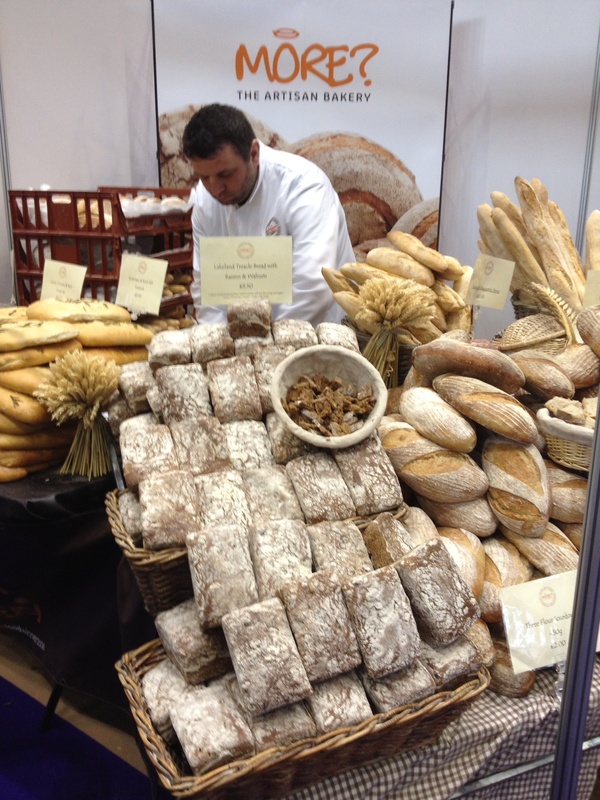 I do all our own bread and we rarely eat a meal that we’ve not made from fresh, local ingredients. I’ve always made cakes but as my free time grows I’m getting a renewed interest in making everything at home and gaining more skills. With that in mind following the Neff presentation we watched three other “celebrity” demonstrations. 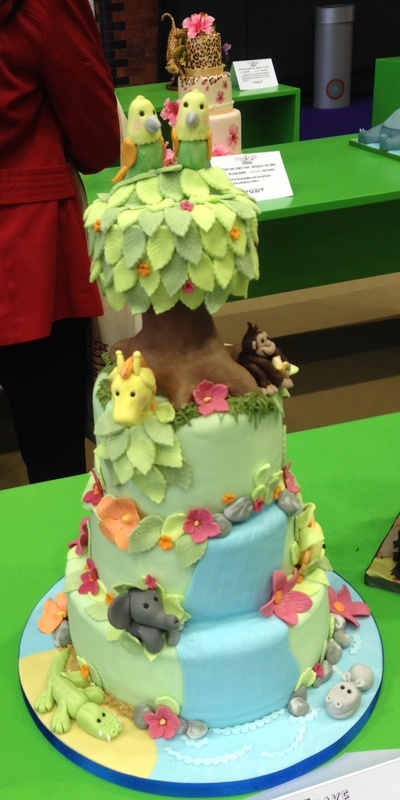 We were lucky to be in the show early as it meant we got a brilliant chance to view the quiet stands and cake exhibitions and competitions. 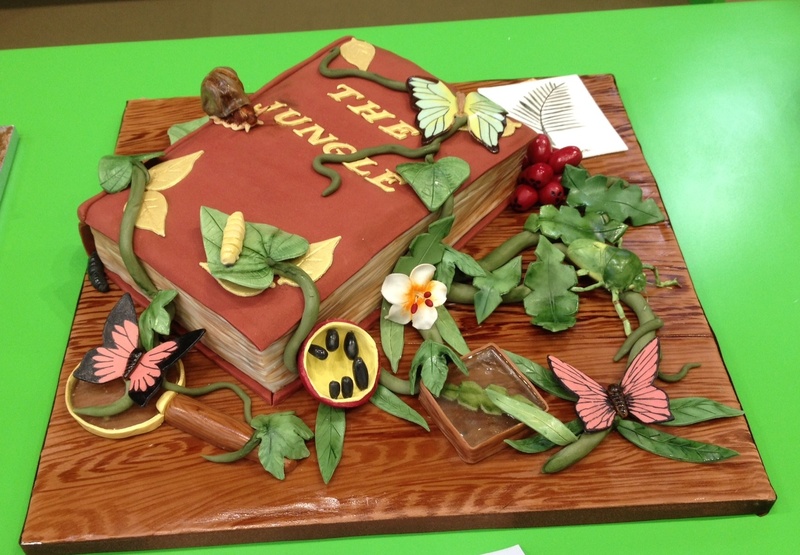 One of the most elaborate is “Welcome to the Jungle” – the show teamed up with CakeBomb, a collaborative partnership of incredible cake artists and bakers, to create a jungle themed exhibition by both professional and non-professional bakers. Loved this for a child! Some of them were works of art but for us just tooooooo much sugar! More suitable for a corporate event when I worked in industry! Others so cute you just couldn’t eat them ……. Our favourite was Lakeland Treacle Bread with raisins and walnuts – we’ve nearly finished it already! I stocked up with items from Bakery Bits, Billingtons and Culpitt where I was particularly happy to find some plungers for cake decorating suitable for my little baking apprentice to try that will produce a car, plane, boat and plane – something I’ve tried to buy before. 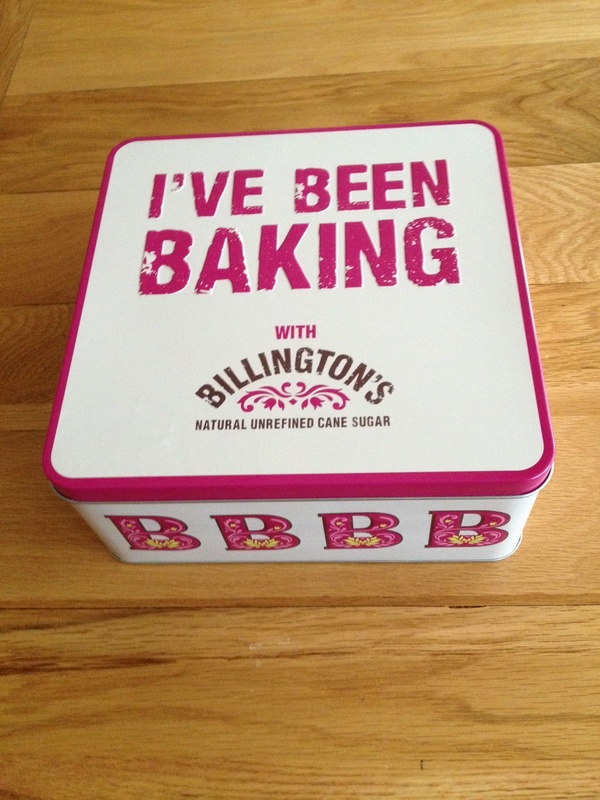 Billingtons show special included this lovely cake tin (no really I did need another). I’ve only recently discovered their Golden Icing Sugar – it’s absolutely lovely with a caramel edge to the taste. Their other unrefined sugars have always been my preferred sugars so I stock up whenever I find it away from the supermarket. 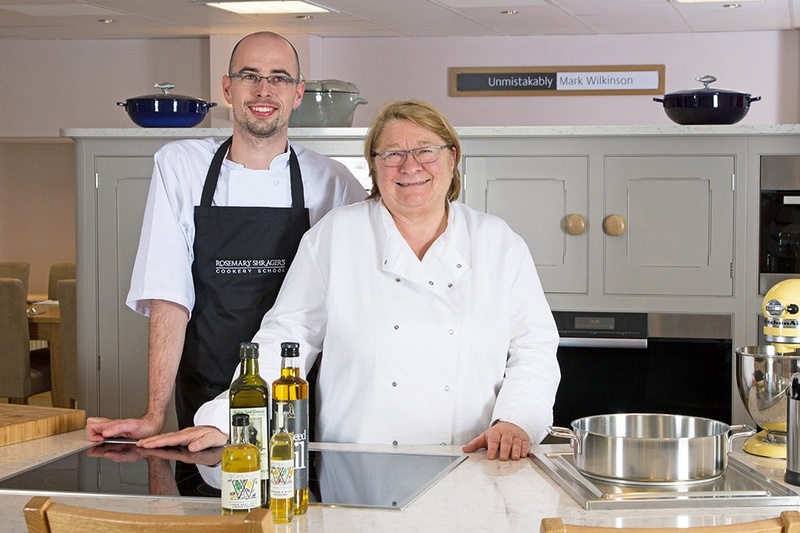 So if you get chance take advantage of this North West event and don’t forget to check out the bread and “the Bakery” kitchen – not just the cake!